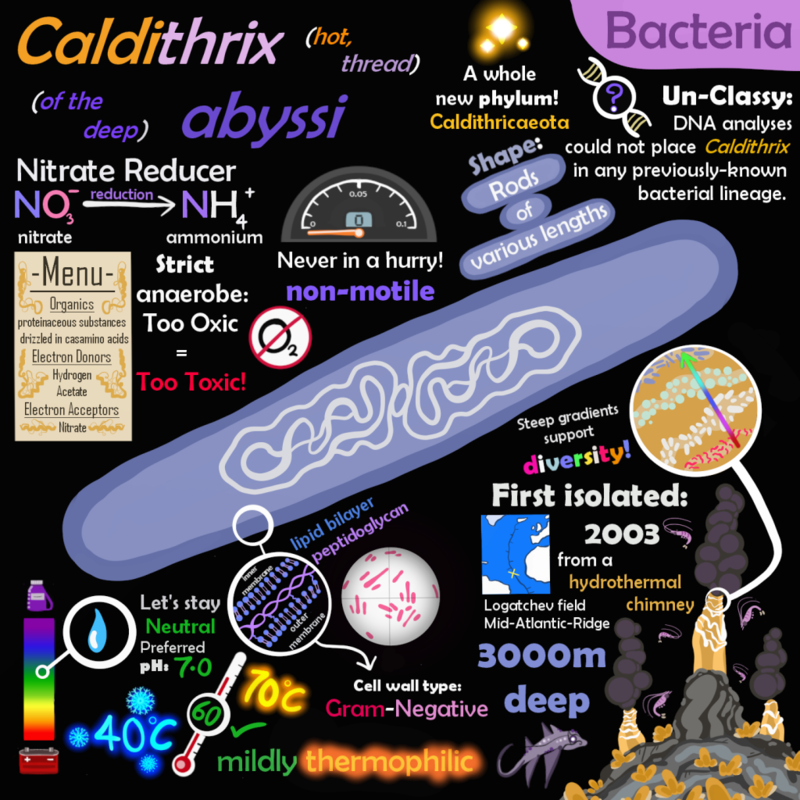 Today we’re taking a deep-dive into the life of this unique microbe: Caldithrix abyssi. This little fella was first isolated from a sample taken from a hydrothermal chimney in the Mid-Atlantic-Rdige at a depth of 3000m! These chimneys spew out incredibly hot fluids, sometimes with a low pH to boot! Close to the point of discharge, it’s very hot and perhaps a bit acidic! But as you move away, it quickly gets colder, and more neutral. These steep gradients mean there are many niches that can be filled by different kinds of microbes suited to different conditions. The result: biodiversity! WHOI, Dr. Anna-Louise Reysenbach, Portland State University. 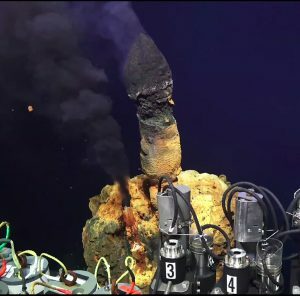 In the deep subsurface, oxygen is limited (or even completely absent), and is often toxic to many microbes living there. What do microbes “breathe” then? Microbes can use a multitude of chemicals (from iron to methane, hydrogen or sulfur) to get their energy through the transfer of electrons, a process call reduction-oxidation, or redox. Caldithrix abyssi can reduce nitrate into ammonium in a similar way we reduce oxygen to make carbon dioxide. We have extensive fields of hydrothermal chimneys here at Brothers volcano, so maybe we will find some distant cousins of Caldithrix abyssi! Vivian Pellizari is a Microbial Ecologist and Associate Professor at Oceanographic Institute of University of Sao Paulo.